As soon as you get into France Miniature’s green parking lot, you’ll feel lifted in another world. You’re in nice looking park that you can enjoy with your children. Discover the magnificent French monuments on a scale 1:30. A marked trail leads you and shows you how to visit France. Busy discovering monuments and listening to forgs croaking and the model train travelling the whole park, my kids didn't ask me to carry them (which is rare). 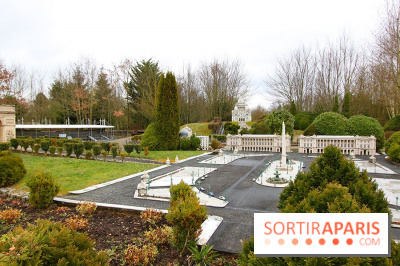 With a total of 117 replicas of monuments and 150 French typical landscapes. There are so many things you won’t even know where to look at. From the Arc de Triomphe to the Théâtre d’Orange, Saint-Emilion’s village to the Castle of Montmaur and Auvergne volcanos, the Castles of la Loire or the Place Stanislas of Nancy, all the beauty of the French heritage unveils itself in front of your eyes. You will have to walk across the alleys to realize how many outstanding places of interest this country has to offer. You think your kids will be bored by France Miniature ? Trust us, you’ll be surprised. Not only they enjoy the park, but the majority of them also asks to go back. Why ? 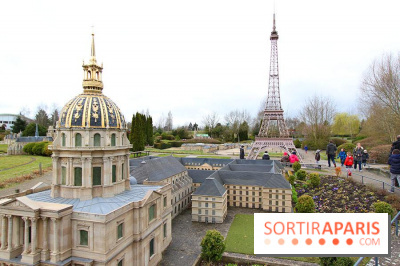 Because at France Miniature, you discover monuments but you also participate in playful installations. 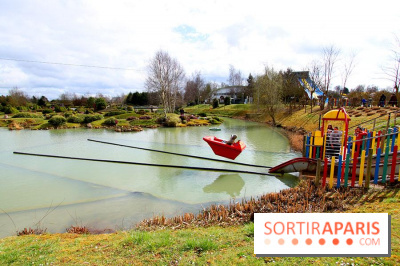 The park renews and offers activities to entertain children. For example, they can get into the skin of an archeologist, and look for Gallo-Roman and medieval treasures using shovels and sieves. They will be able to find pearls, gold or silver buttons, and mosaic pieces refering to the Gallo-Roman era, jewelry, coins and keys refering to the medieval era. A new generation prehistorical cave inspired from Lascaux allows you to go 18,000 years back in the past. You’ll be able to reproduce 18 different cave paintings on a touchscreen, using flint to engrave, paintbrushes and blowpipes to project the colour pigments in an original way. And what could be more glorifying than seeing your creation projected on the wall of the cave, right next to permanent ones. If you’re hanging out around the Château de Versailles, don’t miss your chance to animate the famous castle fountains just like they used to do back in Louis XIV’s era. If you hang out next to the Palace of Versailles, you'll enjoy the famous water falls of the Palace like they did during Louis XIV's era. And for not long ago, France Miniature also open the doors of Fort Boyard for you. Enter Père Fouras' den and discover the council room as if you were in Fort Boyard. Inside, 7 challenges to take up. Like in the TV show, face off one another with thinking games and games of skill. Answer Père Fouras' enigmas and face off the Masters of Time. Ultimately, test your agility with the "Q-tips" challenge. Will you stay balanced and make your competitor fall? 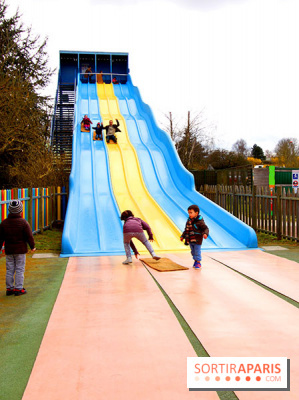 Let's not forget that France Miniature offers a whole range of free attractions to have a day full of fun. Starting in May 2019, children are invited to discover the Cirque des Zinzins: a new experience all about thrills! An uncommon circus tent is setting up in the way! The occasion for children and adults to discover the artist's life and (try) to shine under the spotlights! On the menu, not less than 20 acrobatic workshops are expecting you! Among them, tightrope walkers, trapeze artists' act, acrobats' show, contortionists' dance, high-wire walkers' ballet and even acrobats' jump! 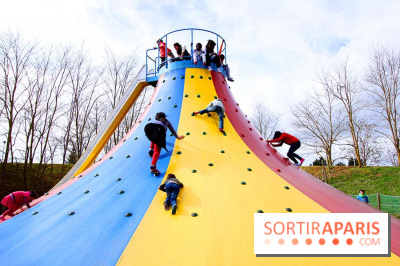 You'll love playing budding high-wire walkkers and defying gravity in a net set 4 to 7 meters above the ground! 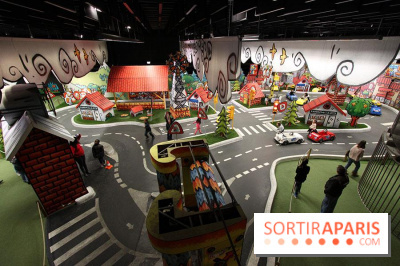 Children drive a small electric car (3 miles per hour max) and travel around France across a 3000-square feet circuit. Galipette: a rollercoaster for two. Pile ou face: challenge the laws of gravity. Même pas peur: a rough landing on the Channel aboard a boat propelled at 25mph that takes off before landing on the water. Come along on September 14 and 15, 2019 and discover with your family and friends, the French Heritage at France Miniature. Your kids can take part in a model workshop: on the menu, collage and cut-out. During the break, France Miniature displays Halloween colors and expects little and big monsters! In short, have a wonderful time with your children!